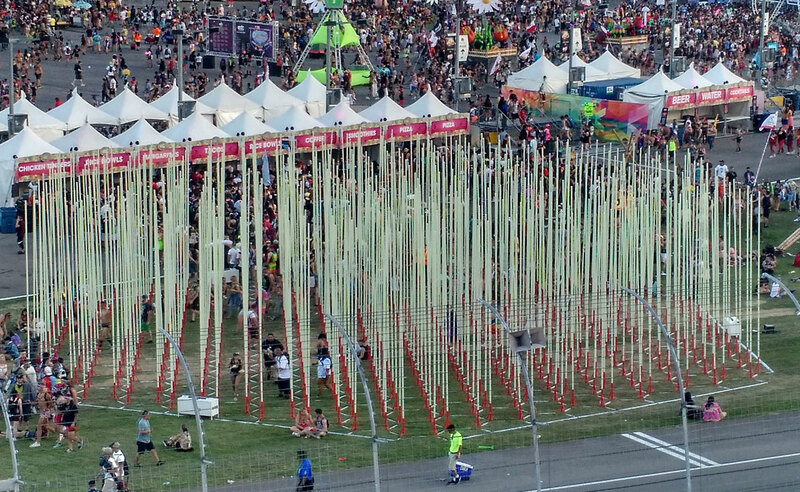 The Hexatron was built for Insomniac's Electric Daisy Carnival in Las Vegas, May 2018. 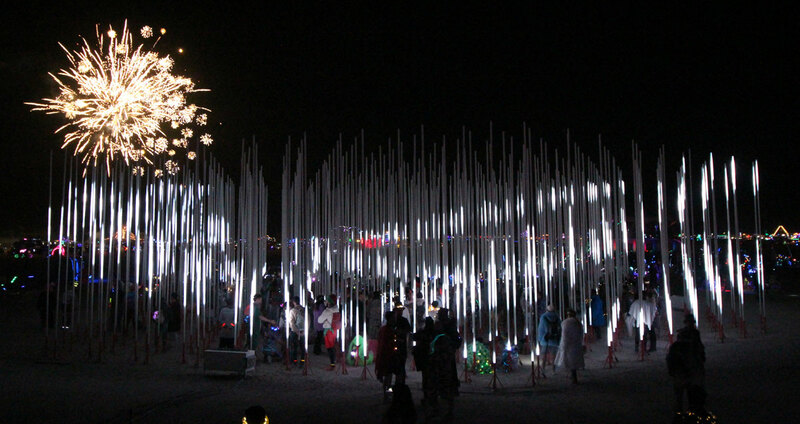 The Hexatron is a forest of 486, 20ft tall LED light poles, arranged in a honeycomb and forming a large hexagon shaped footprint, approximately 90ft in diameter. 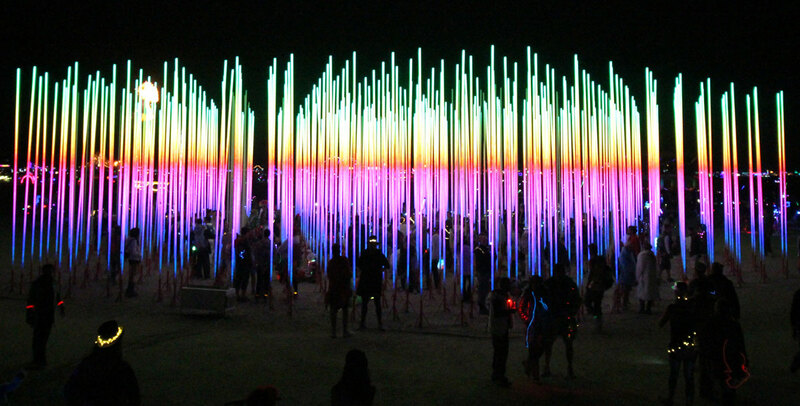 Each light pole contains 440 RGB LEDs (213,840 total), along with 2 small piezo sounders. Everything is under computer control. Power requirements are around 15 KWH. The entire installation stores in a 20ft shipping container. Electric Daisy Carnival, Las Vegas, NV. May 2018. Burning Man, Black Rock City, NV. September 2018. A Burning Man Art Grant will cover shipping and power expenses, and playa specific modifications. 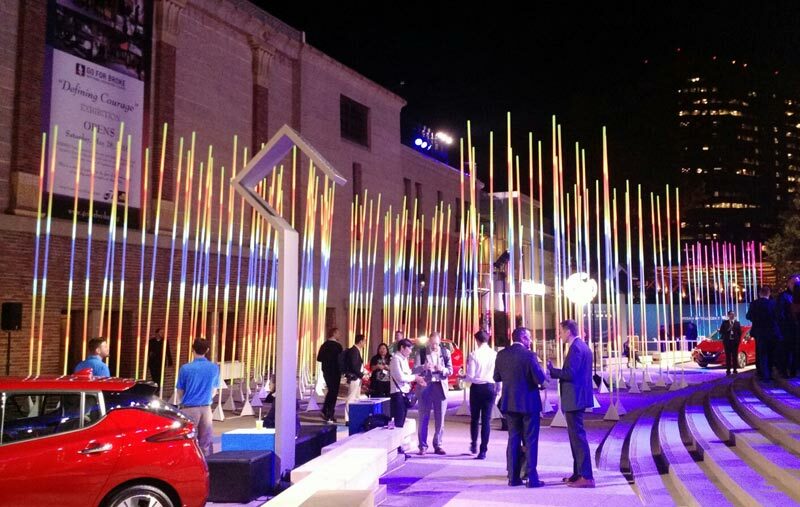 Nissan Futures Event, Los Angeles, Nov 2018. Custom setup.